These are the three best Beatles albums. Needless to say, I was stoked when I found out they would be part of the Beatles series, but not so stoked that I couldn’t find them. Luckily The Bell King stepped up like the badass that he is and found them for me. As you all know, I’m a proud card-carrying member of the DLM movement, but as an exception, these three will stay the way they are. I grew up listening to the Beatles, ever since my parents bought a CD player in the early 90s and it came with Help. My parents also listened to the Beatles growing up in the 60s and had Help on Vinyl, but the CD made it possible to actually listen to it. Rubber Soul contains probably my number one Beatles song (and I have no idea why it’s this song), Hey Bulldog. Sergeant Pepper’s Lonely Hearts Club band is just an all around classic top to bottom. 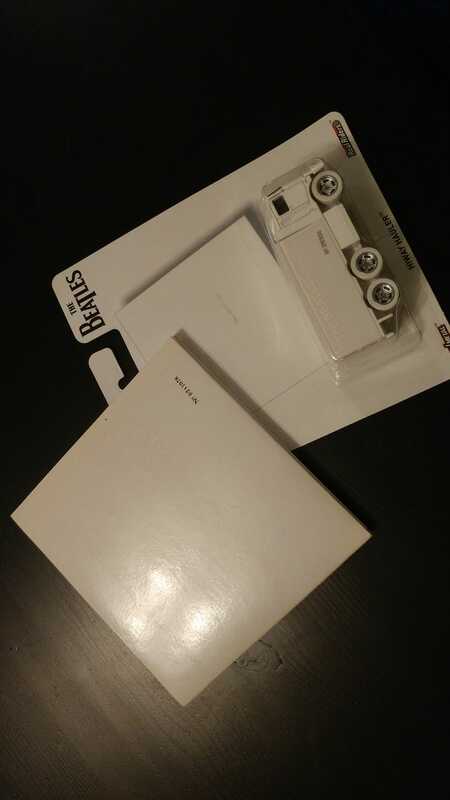 The White Album has a special place in my heart as my uncle had the two disc Vinyl version that came with the big photos and the apples on the record, and the large sheet with the lyrics, it was wonderful. I had to hook my parents’ old record player back up just to play the LP. So when the 30th anniversary special CD edition came, I jumped on it. It’s literaly a miniature version of the LP, complete with the photos, lyrics sheet, and apple labels on the discs.